William Holden was a major movie star in the 50’s and 60’s and possibly even the 70’s. 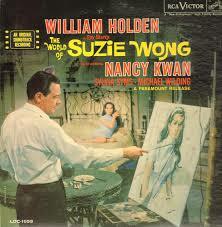 I’m not much of a researcher as I prefer to make up my own facts to save time, but anyway my point is — William Holden can’t paint! I don’t know how William Holden died, but a long time ago, I remember seeing a sign in someone’s bathroom that said “William Holden Slipped Here.” So I have a feeling his death was rather untoward. 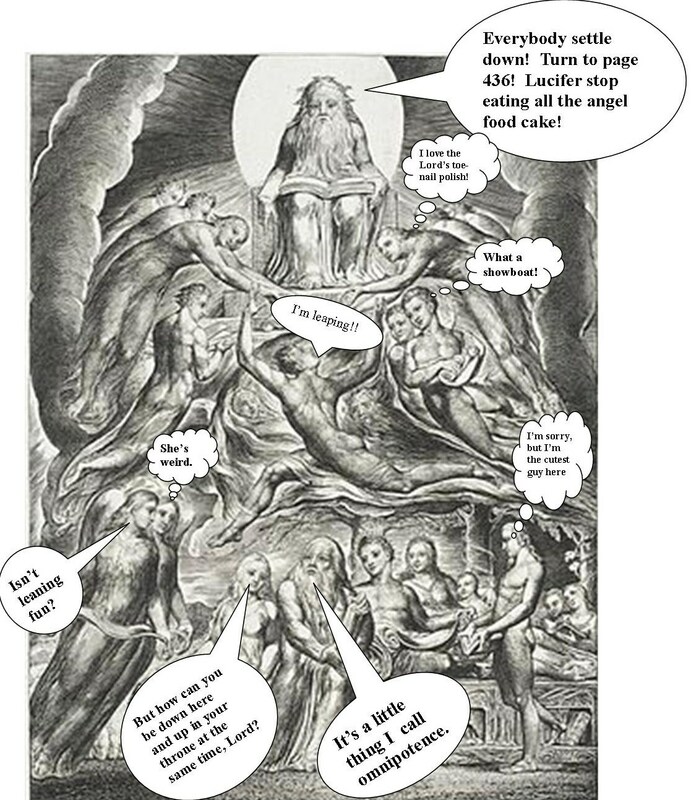 Which is why we won’t go into it here, Bill, as this is a humor blog, and, as such, steers clear of unpleasant topics unless it’s laugh out loud funny like, say, the always popular topic of baby eating. But I digest . . .
Let’s move on to the super-cheery Clancy Brothers and Tommy Makem, shall we, Bill? Okay, Bill, which one do you think is Tommy Makem? They all look alike to me, Bill. Do you think that maybe Tommy Makem is a Clancy half-brother? Maybe he’s the brother nobody knew about until Tommy came a’knockin’ at the door one day with a big announcement? A big announcement that . . . well we won’t go into that unpleasantness here, Bill, as this is supposed to be a humor blog and as such steers clear of topics about things like, say, the illegitimate makin’ of Tommy Makems. 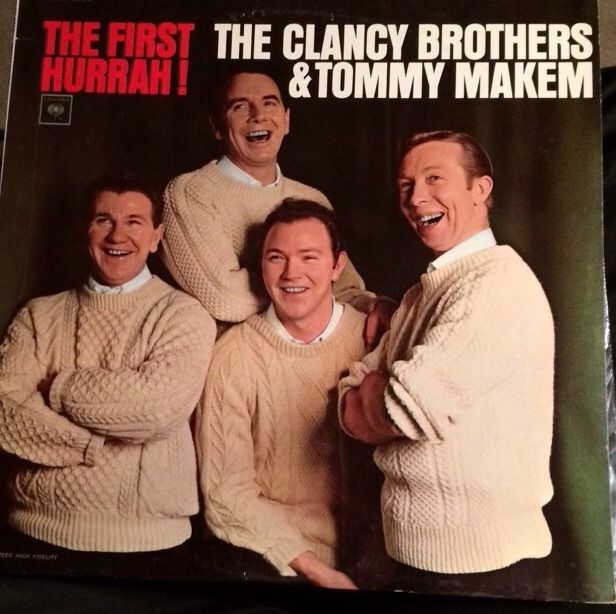 Apparently, if one can believe the album blurb, the Clancy Brothers are Irish. There’s no mention of what Tommy Makem is. Who cares? He’s really starting to get on The Clancy Brothers’ nerves anyway. 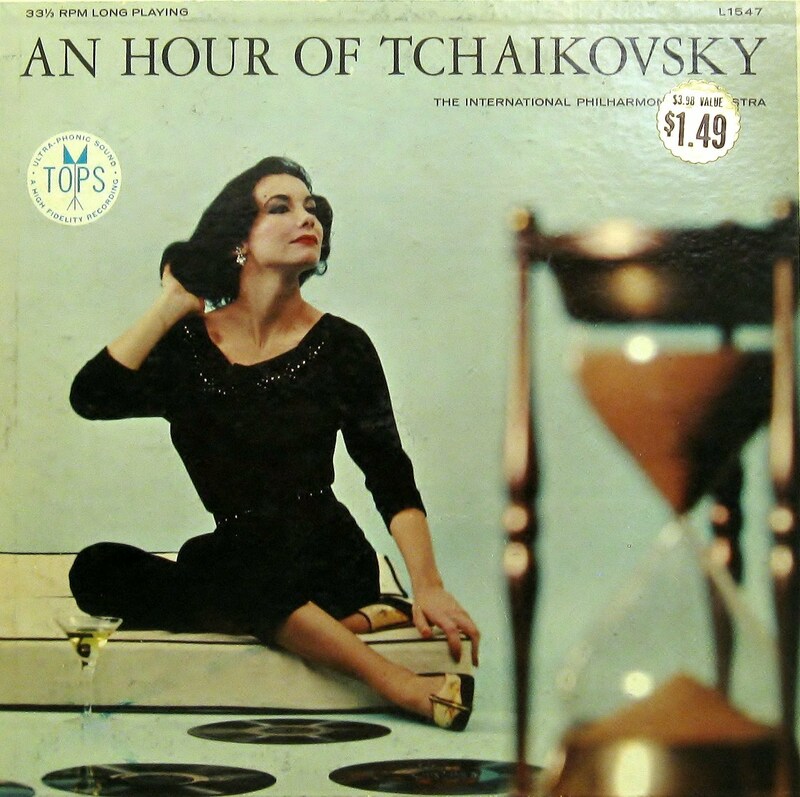 In fact, I think even though this album is called The First Hurrah! I have a feeling it’s The Last Hurrah! for poor ol’ illegitimate half-brother, Tommy Makems, don’t you think Bill? 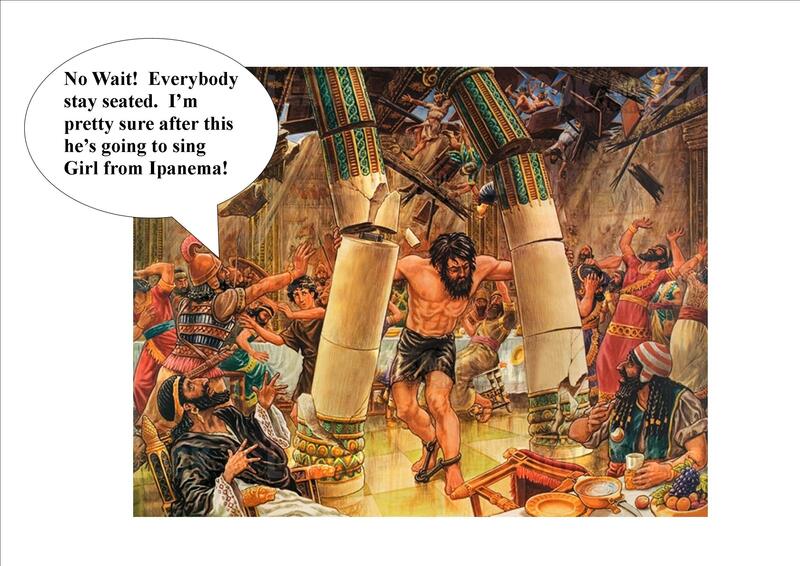 But, Bill, let’s not worry about such things now, Let’s move on instead to An Hour of Tchaikovsky! But not to worry, she is still managing to keep her composure. How? Well, thanks to the magic of eight gallons of foundation and 3 pounds of eye shadow, three-quarters of a pound of lipstick and half a pound of potato salad. No wait . . . that was her lunch. Okay, well as you can see, Bill, I’m starting to get confused. So I guess it’s just as well that we are completely out of Album Cover, fun-poking time! Gosh where does the time go? Where, Bill? Where? Hello Dear Readers and welcome to today’s blog where we will be talking about recipes for people who are all dead now. 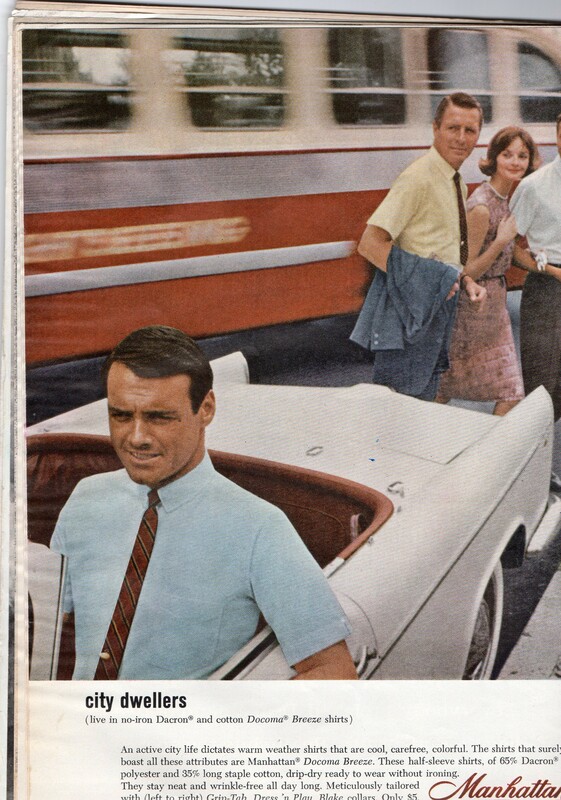 Back in 1969, there were a lot of people in the world who liked eating Tomato Aspic, Jellied Gazpacho and Waldorf Salad. 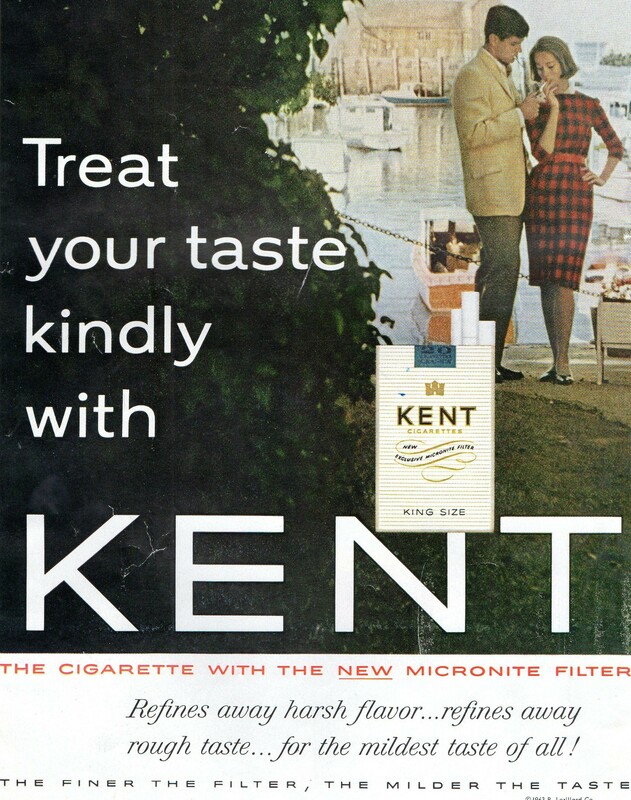 Unfortunately all those people are dead now — taking with them to the grave every conceivable need for Knox Gelatin. 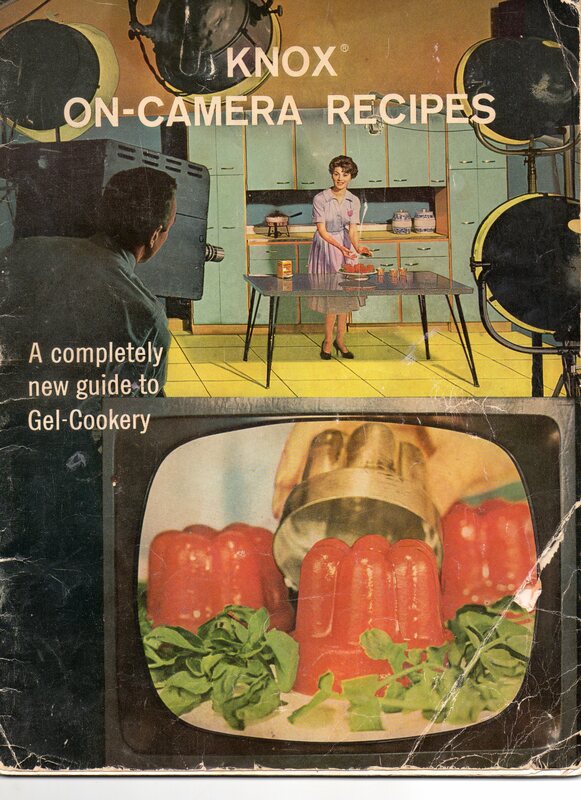 But don’t worry, through the pages of this bizarre cookbook entitled Knox On-Camera Recipes, we will examine in great detail some Knox Gelatin Recipes that made this country what it used to be. Recipes that salute a quieter, gentler, jigglier time in our nation’s history. This delightful red brick is an example of a simple gel. Mix Knox Gelatin with your favorite liquid and lay it atop (gently now!) a type of lettuce that is probably extinct now. Slice a cucumber for charm and casually toss some olives (blindfolded) for that devil-may-care appeal. The only thing left to do now is wander the streets looking for a person in the 110 year-old age group to eat it. 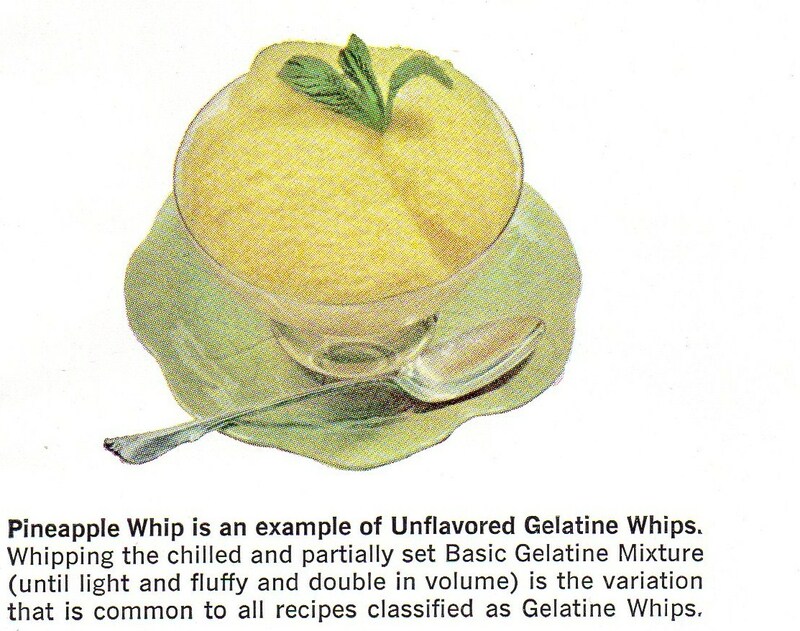 This is an example of a gelatin whip. 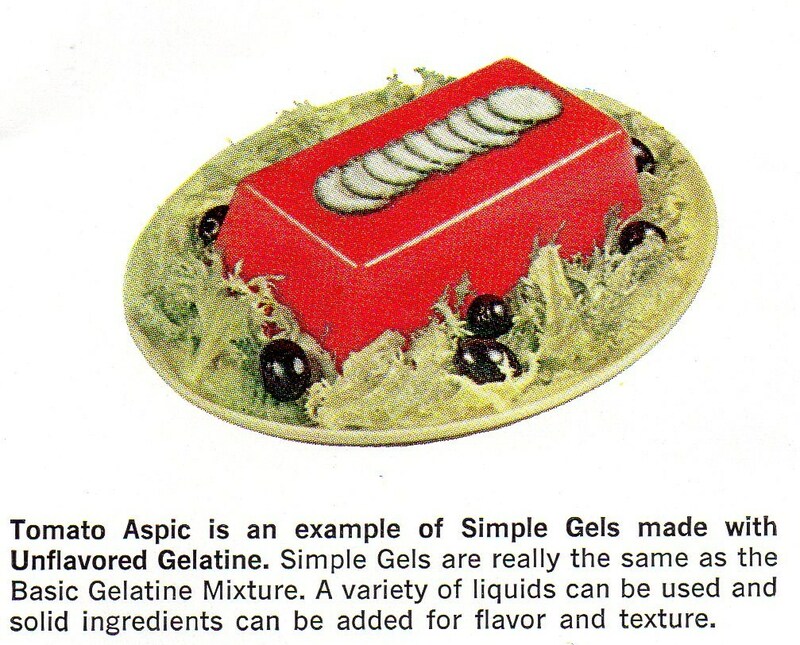 Which means after you make a brick of gelatin (see above) it is whipped (by whom and with what is omitted information — a 110-year-old with a cane, perhaps?) 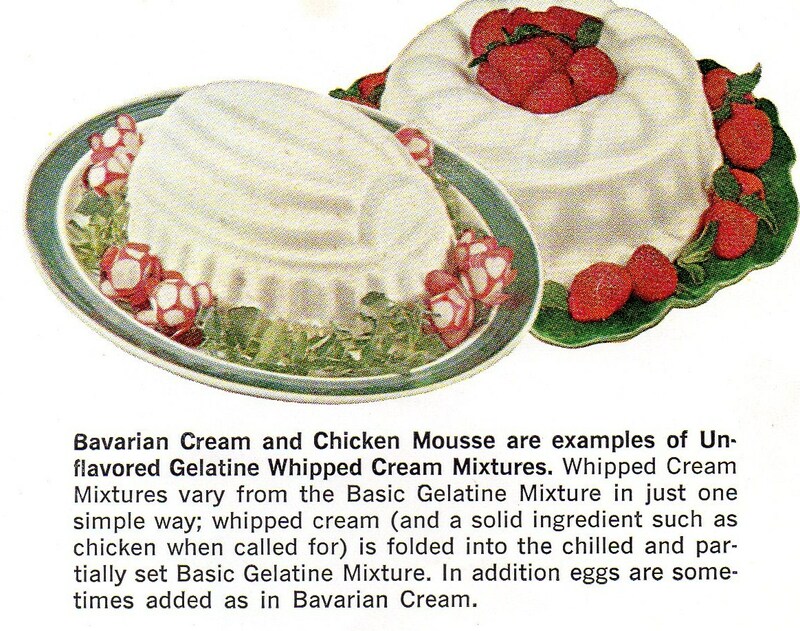 until light and fluffy causing it to become far more appealing than an aspic; but far less appealing than anything people who are all dead now could get at the ice cream parlor. 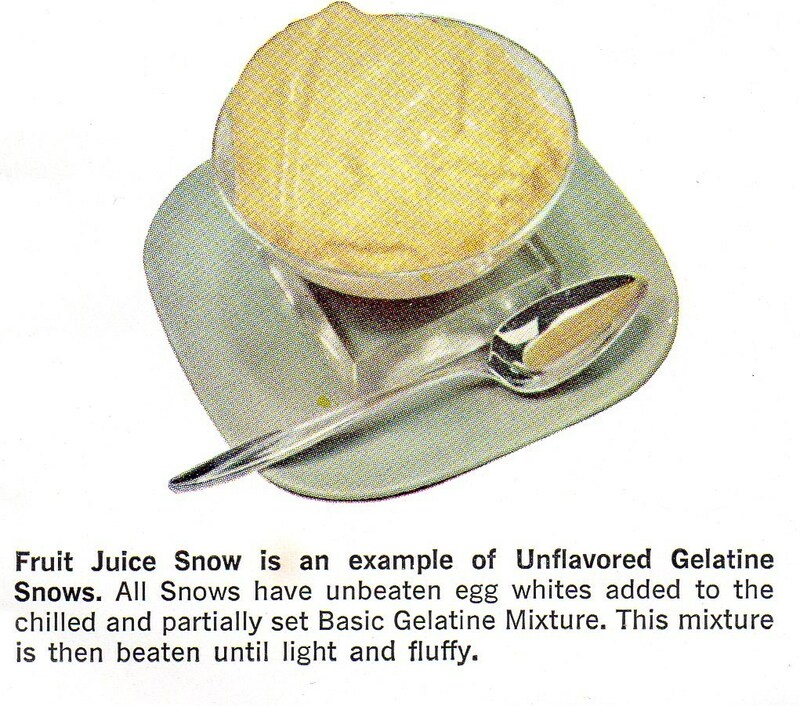 Here’s an example of unflavored gelatin snow. It doesn’t look very much like snow or at least not very much like snow you would want to put in your mouth. But nevertheless, gelatin snow it is!! This mixture is also whipped until light and fluffy and/or to teach it a good lesson whichever came first. 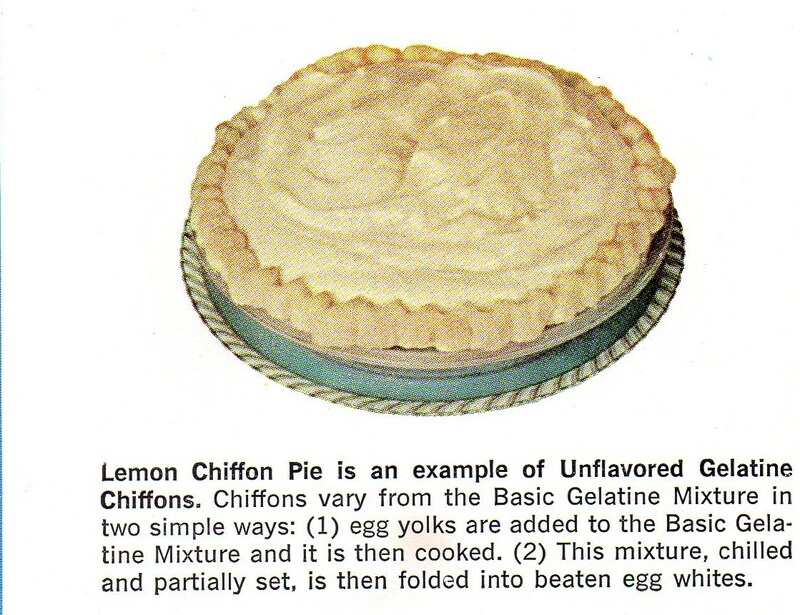 In an effort to include something actually edible into the five types of gelatin, Knox came up with Lemon Chiffon Pie. First it’s chilled then whipped then partially chilled yadda yadda yadda, who cares anymore. Well this is a good one to end up with Mousse. 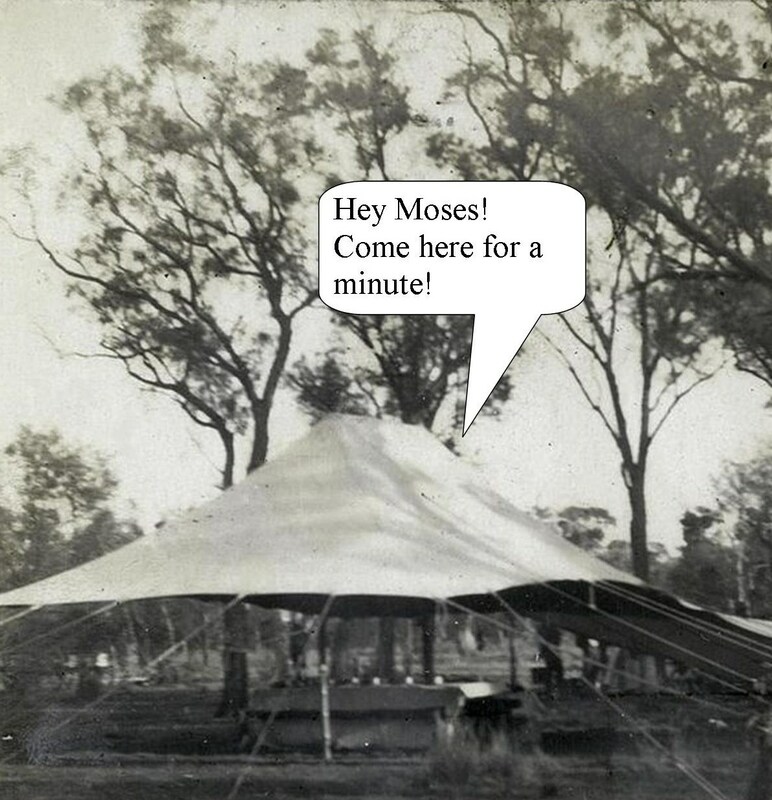 (I know your name’s not Mousse, I just forgot the comma). Mousse happens when a solid ingredient is added into a not-so-solid ingredient either on purpose or by mistake. This was a favorite of people who are all dead now because there’s no whipping involved which means Gramps didn’t have to get out his cane, yet again! And there you have it, Dear Readers, our first foray into learning about recipes for people who are all dead now. 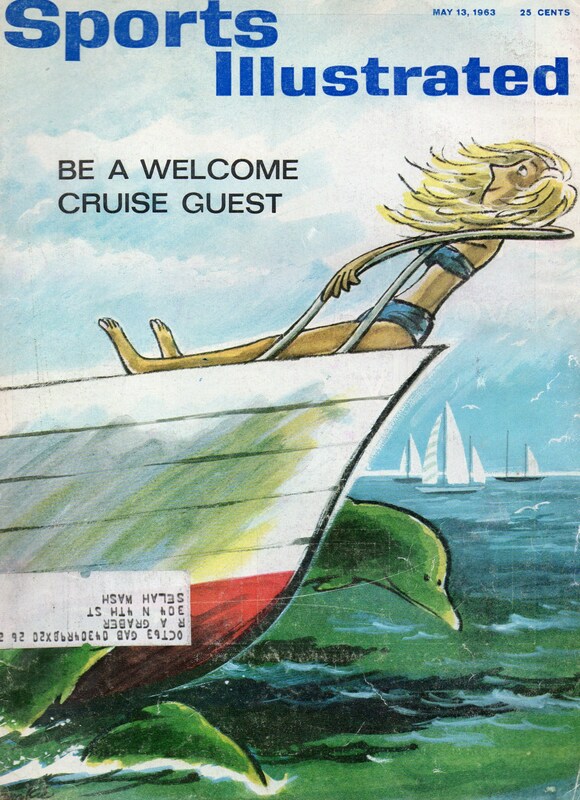 Welcome Dear Reader! Well, guess what? 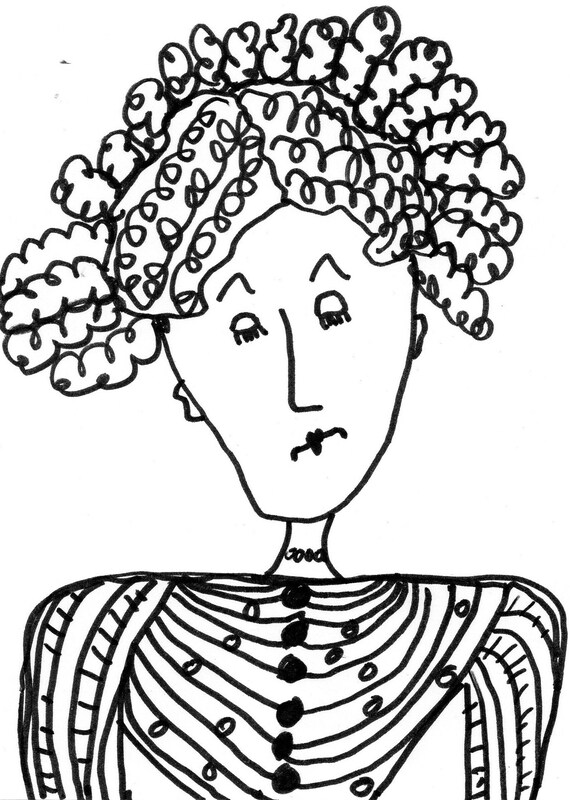 The Patronizing Noodle Lady has decided to pay a visit to the blog. 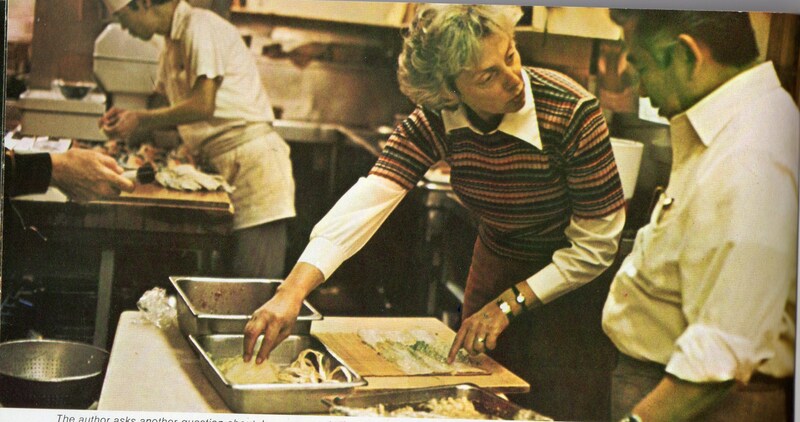 The Patronizing Noodle Lady first showed up in this picture in one of my old cookbooks. 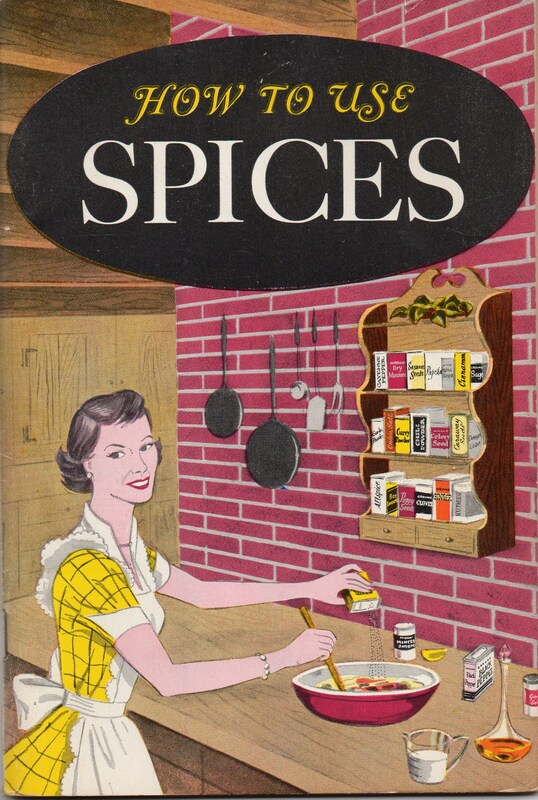 Today the Patronizing Noodle Lady will set us straight about How to Use Spices by reviewing with us this booklet from the 1958 American Spice Association, a pamphlet written by none other than the The Patronizing Noodle Lady! 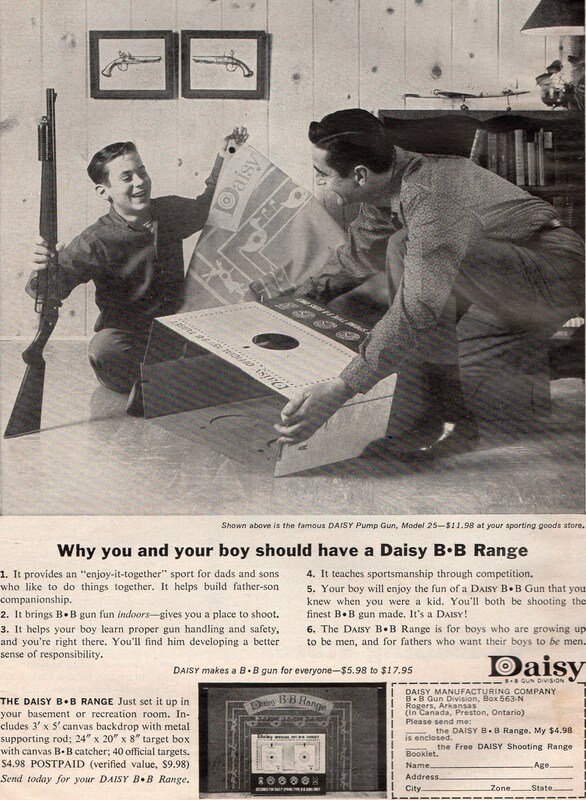 Deemed the most wonderfully condescending “How-to” Pamphlet of 1958 by the National Association of Professional Patronizers! What’s that Patronizing Noodle Lady? 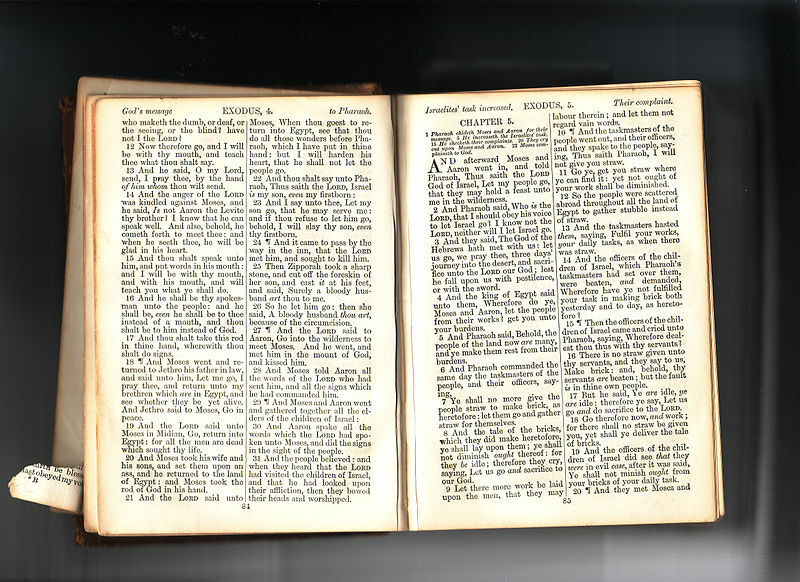 You want us to open to the first page by opening the cover and then flipping to the page #1. Uh. Okay we’ll try! Patronizing Noodle Lady please rest assured that even though our interest in spices developed somewhere . . . somehow . . . we had absolutely no idea what was going on and just totally lucked into whatever interest we’ve shown. We were more than likely hallucinating when we saw ourselves as truly glamorous cooks! Believe us when we tell you, Noodle Lady, that there is absolutely no “mysterious” and difficult feeling we’ve ever had (with the possible exception of getting sucked into a jet engine or falling into a pit of snakes) that is worse than not handling each spice correctly! Patronizing Noodle Lady you must believe us when we say that we have been trying our whole lives not to confuse the word “spice” with the word “hot’ but it’s just so difficult. We’re always getting them mixed up which is probably why Aunt Martha died from that stomach ache we tried to help her with last week when we suggest she add four pounds of cayenne pepper to her oatmeal. Darn! That’s what we get for guessing! Patronizing Noodle Lady! Please! Tamper with the basic ingredients! We would never dream of such a thing even if it is according to the dictates of our own imaginations. (As you have so generously allowed us! Thank you btw!) In fact, we will be happy to swear on a stack of cookbooks that we will never — under any circumstances — tamper with basic ingredients or we will swallow an entire tin of cinnamon with an Oregano chaser so help us Julia Child! Relax? How can we relax with all this pressure we’re under. You wouldn’t happen to have any spices that would help us relax would you Patronizing Noodle Lady? Oh and just one quick question: Do we have to have a college degree to become an expert in the use of spices? Alright!!! 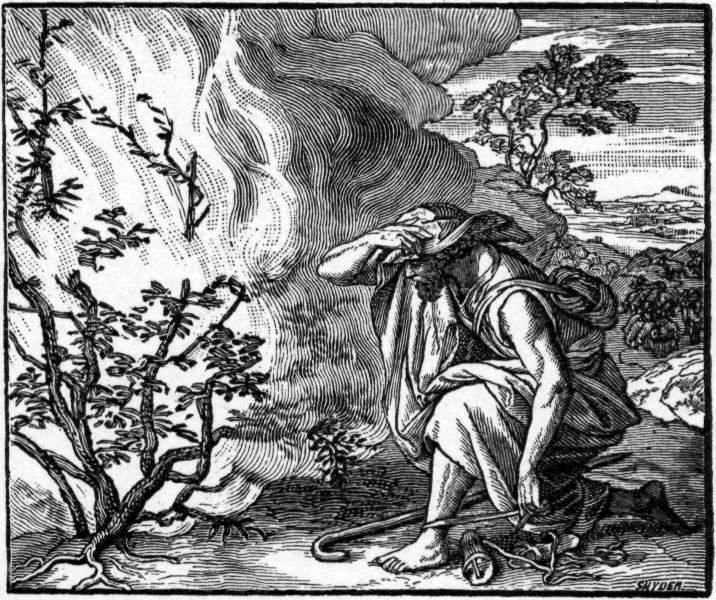 If we start right now using spices with only our high school diplomas, how long will it be before spices will not have any secrets from us? . . . Hello? Patronizing Noodle Lady? Did you hear us? Patronizing Noodle Lady? Well, Dear Readers, it looks like the Patronizing Noodle Lady has quit answering us because she no doubt has more important people to see and better blogs to visit. But don’t worry, I’m sure she’ll come back soon as there are plenty of things we still need to be set straight on.